With 50 million clients installed likely this year, FaceTime is a service which may have potential. By potential I mean, of course, its potential to make a dent in the universe, the universal goal Jobs has set for Apple so many years ago. It’s entirely possible that FaceTime will be an inconsequential nice-to-have enhancement to the iPhone platform that sustains and improves the iOS (and OSX) franchise. But it’s also entirely possible that FaceTime could become a disruptive challenger to the functional voice-oriented telecom network. The thing that jumps out at me is the service’s under-performance along metrics that the industry defines as critical but over-performance on dimensions that the industry considers non-critical. It suffers from poor coverage (WiFi only), a limited network of possible users, high bandwidth requirements which are still hard to match and a steep price point for initial entry. But I would say data-oriented devices were similarly met with poor performance 4 to 5 years ago. No 3G, poor coverage, few services and high prices. Even today there are many telecom skeptics who think smartphones are toys for the well-to-do or IT types and not something for the mass market. As can be easily seen however, all the shortcomings of the mobile-data-oriented-device (aka smartphone) turned out to get ironed out with time. You just need to plot a historic graph of network performance and device price points to see where they’re going to go. On the other side of the equation FaceTime offers huge performance on the dimension of emotional attachment to a device and to a conversation. The FaceTime experience is qualitatively distinct from either desktop video chat or device-based VoIP. It’s intimate, emotional and stirring, (just look at the commercial) not to mention accessible by just about anyone. These new measures of performance cannot yet be quantified with spreadsheets and measuring the effect will not be a priority for anyone in the industry for a long time to come. Therefore, the asymmetry is there implicitly. So here we have classic Apple: shifting of the basis of competition so subtly that it’s almost imperceptible while under way yet glaringly obvious after the fact. So what does FaceTime have to do with FaceBook? When FaceBook launched, I don’t recall observers predicting that a site allowing college students to keep track of their friends after graduation would grow into the stickiest site by time spent online ever seen. Nor that it would become a site that swallowed all online communications including IM and email. Nor a site that would possibly challenge search consumption. The performance attributes that FaceBook relied on were not in algorithms but in the emotional hooks that relationships have with people. FaceBook was personal, emotive and private, the exact opposite of what the Web offered a decade ago. So, like the names imply, both these services are about Faces, the first objects we as humans recognized after birth. That’s a powerful image to have a handle on. The pattern that emerges is that Web 2.0, Telecom 2.0 and Personal Computing 2.0 will pivot on the elevation of emotion over function. That may be a banality but empires have been built on less. When will the smartphone become a commodity? I believe that next year and perhaps the year after that will see intense competition on the OS platform front, but eventually one will dominate the other(s) by a significant margin (and this also depends on the cloud and how it will be adopted across platforms). This happens as a result of a unified platform in which many can compete on lower margins instead of the development of the entire package and platform, which all goes hand in hand with commoditization. 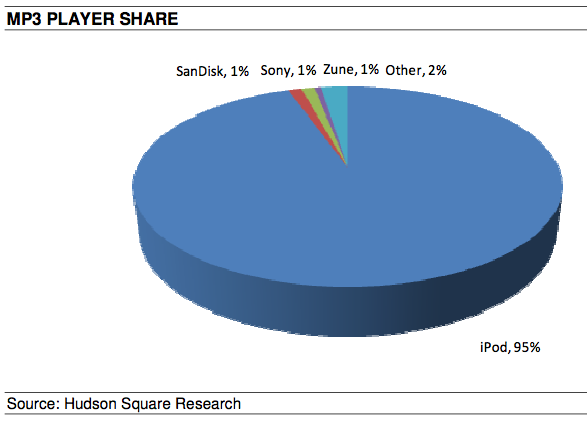 However, to predict that smartphones will not be commoditized within the next three years is bold to say the least. The desktop was settled very quickly, and in this industry of exponential growth, it can be assumed it will not take longer for a similar scenario to settle. I’ve been observing (professionally) the smartphone market from its inception and was holding my breath for the commoditization of handsets that Microsoft promised all the way from 2004 through 2009. Several generations of Windows Mobile were predicated on the imminent stabilization of hardware and user experiences years before the iPhone came along. Not only Microsoft but Palm via PalmSource, Symbian as a consortium of all incumbents, Sun & IBM via Java, DoCoMo with iMode and not least of all, Qualcomm with BREW all made the same bets and ran with horizontal strategies toward a smartphone future built on the lessons of the PC industry. The only holdout for the integrated approach was the one company that everybody marked for dead: RIM. It’s also the only one who raked in all the profits. All this happened before 2007. To suggest that this time, in 2010, it’s different: that the definition of the smartphone as it exists today is the product at its zenith; that user experiences and expectations and hardware specifications and platform dynamics will be henceforth frozen with minor sustaining tweaks to look forward to is, in my opinion, a far riskier bet. I don’t try to be a futurist or predictor of how the product will evolve, but I can see a dozen ways of how the very definition of a smartphone will change and how in 4 years we’ll have products that won’t be recognizable as such today. So much depends on when the smartphone (or more broadly mobile computing) reaches this point of good enough. It’s at the root of all hypotheses of how the market will evolve.